The goal of the Patrick Henry School District Public Libraries is to provide a pleasant and user friendly environment to assist you in your life-long learning process. Browse our card catalog online. Ohio Libraries provide access to LinkedIn’s free online training platform and courses Lynda.com. Books, magazines, videos, DVD’s, audio books, computer games, newspapers, copier, fax service, home-bound delivery service, story times, laminator, inter-library loan, microfilm reader printer, microfilm records, computer internet access, summer reading programs. The Deshler Edwin Wood Memorial Library houses The Henry County Genealogy Society’s collection. The Patrick Henry Public Libraries were formed when the Patrick Henry School District was created in November of 1964. Deshler Edwin Wood Memorial Library, Hamler Branch Library, and Malinta Branch Library are public libraries that also serve as school libraries for grades K-8. Deshler Library is connected to the elementary school by a breezeway. Hamler Library is located on the first floor of the Reddin House. Malinta Library is located on the second floor of the elementary school. The school has an elevator for those unable to use the stairs. 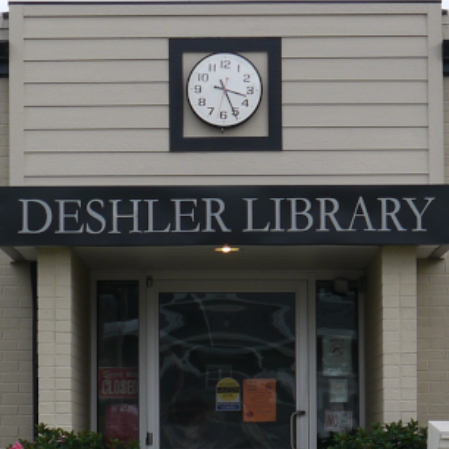 The Deshler Library was started through the initiative of the Deshler Chamber of Commerce in March 1924. It was located in the basement of the Deshler School. In 1961 Mr. Richard Jones, then Superintendent of the Deshler School, and the library board, saw the need for new library facilities. Through their efforts, and in cooperation with the board of education, the Edwin Wood legacy, and savings of the library board through levies, a new building was erected. The new building was dedicated in May 1962. Deshler Library went to an automation system in August of 2003. We now electronically check out books. Our card catalog is now on-line along with 69 other libraries in the SEO system. Patrons with library cards may now borrow books, videos, CD’s, DVD’s, books on tape, magazine, and eBooks from the other libraries in the SEO system. The Hamler Library was started with the help of the Wide-A-Wake Club, in 1941. The library was located in their club room. The library was moved to the Hamler School in July 1943. 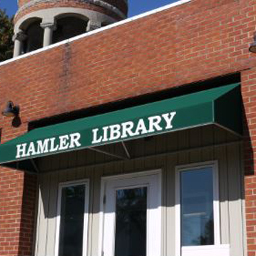 In June of 2005 the Hamler Branch Library moved to its present location at 230 Randolph Street after the Hamler Middle School was moved to its new location at the Patrick Henry High School campus. Malinta Branch Library has been in existence since the formation of Patrick Henry School District. Actual work on the library began October 27, 1969. January 5, 1970 the Malinta Library opened officially for use by the public and school. The local library staff had donated over 150 dollars for equipment and supplies. At opening the library contained 5,000 books. The Malinta Branch Library, being located on the second floor of the Malinta School Building has always been affected by the school’s operating schedule. When the school closed its doors permanently in June 2016 to relocate to the High School campus of the Patrick Henry Schools, the library lost its home. Efforts to relocate the library in Malinta were unsuccessful. The Malinta Branch Library ceased operating as of June 1, 2016. The Library Board of Trustees meets the second Monday of every month at 6:00 pm. Learn new skills, enhance your career or start a new one. 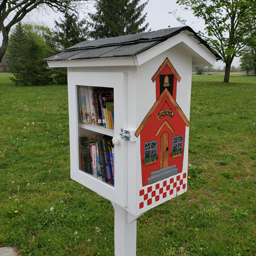 The Patrick Henry School District Public Library endeavors to meet the information, education and recreation needs of the diverse population of adults and children in the school district and the adjacent area. Access to the internet and Ohio Public Information Network (OPLIN) resources is on a method of meeting these needs. Most of the information available through OPLIN and the internet is not generated by the PHSDPL or OPLIN. The internet offers nearly unlimited global access to information and opinions from diverse points of view. However, not all information available through OPLIN and the internet is endorsed or warranted by the PHSDPL or OPLIN to be accurate, authoritative, factual or complete. The user assumes all risks for its use. Neither can the library guarantee the reliability of the computer. The internet links thousands of computers around the world, with no single organization or agency having responsibility for its content. Thus, it is likely that some of the information available will be found to be controversial, offensive or unsuitable for a minor. Parents must instruct their minor children as to what uses are permissible. The user agrees to indemnify and hold the PHSDPL and OPLIN harmless from any and all claims, losses, damages or liability arising directly or indirectly from the use of OPLIN and the internet. Software designed to filter sexually explicit material and other content harmful to minors have been installed on all public computers. Adults may request to have the filter removed. Parents who wish their children to use the computer without filters after school, evenings and Saturdays are asked to come into the library and sign a release form. The filters are not perfect, the library can not guarantee all inappropriate sites will be blocked. All patrons under 18 years of age must have a permission slip signed by their parent or guardian to use the computers.